Carrs Tool Steels have a new delivery truck! 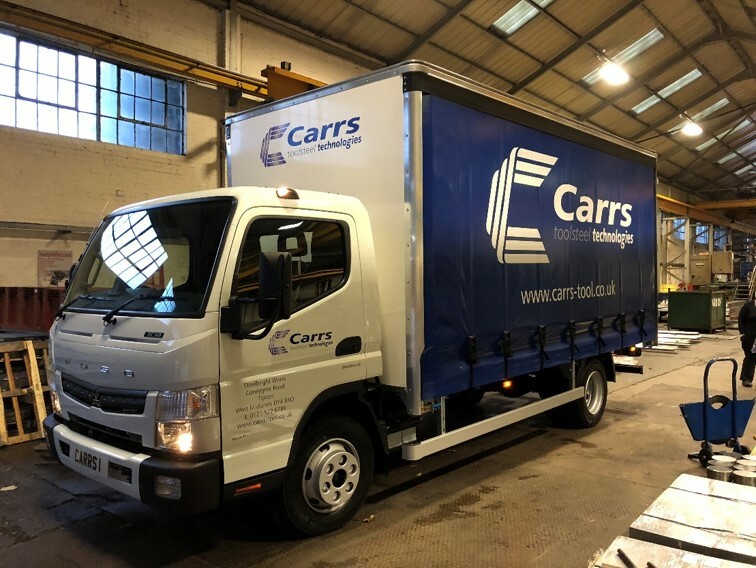 - Carrs Tool Steels Ltd.
As part of our capital investment plan, we have now added a new delivery truck to be operated by PGS, our partner, who we have worked with for all 25 years! The new truck will focus on local deliveries. As always, we pride ourselves on fast turnaround of orders and rapid deliveries for our superb range of conventional and modern tool steels, as well as our industry leading technical advice and support!